Confirmed: Canon EOS RP Has 26.2MP Full Frame Sensor ! 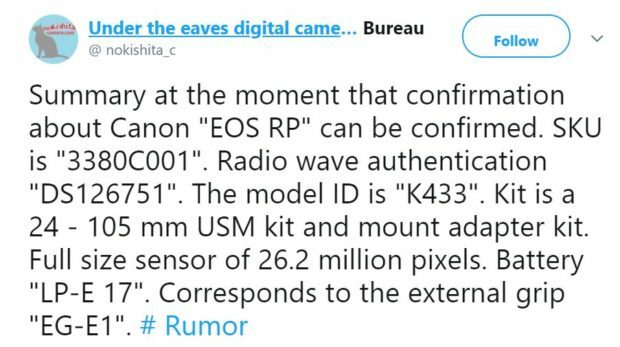 Nokishita Camera now confirmed that the upcoming Canon EOS RP will have the 26.2MP full frame sensor. 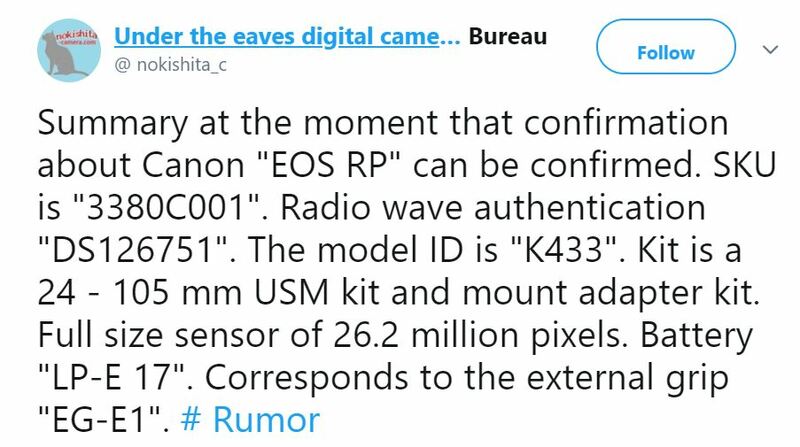 And the camera code of Canon EOS RP is “K433” and “DS126751“.